Last year, we told you that the third iteration of LG's curved device, the LG G Flex 3, would be making its first appearance in March. But March came and the LG G Flex 3 was nowhere to be seen. Now, nearly 11 months since we first told you about that rumor, we have the latest word about the LG G Flex 3. Since this information is not coming from a known source, we do suggest that you take this info with the proverbial grain of salt. The latest buzz has the phone equipped with a 5.5-inch screen, carrying a 1440 x 2560 QHD resolution. The device will be driven by the Snapdragon 820 chipset. 4GB of RAM will be inside along with 32GB/64GB of expandable internal storage. A 16MP camera is on the back while an 8MP front-facing camera shoots selfies and handles video chats. There is no word on whether the self-healing 'skin' on the back of the device will be back. According to the rumor, the LG G Flex 3 will have a modular design similar to the LG G5 and its friends. We could see the device unveiled at IFA 2016 in Berlin, taking place September 2nd to September 7th. Oh "modular design" ill pass. This has to be the best tech news I have heard all day. So excited for this! 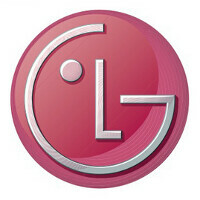 One of the greatest LG devices, I hope the price be between 450-550$ to sell a bigger number. And I hope that the phone is having a great camera. Hope the best for LG. I hope ebery thing is curved about this phone..make it flexible and screen edge.. They should make it available in bright yellow - finally a smart bananaphone! Need to here something about V10 successor. Something to fill the G4 vacancy. G5 was a let down. Except that most people that go the G4 are still on contract, including myself. I got mine in August 2015, and my contract is the typical 2-year one, except on the device instead of the line (device payment). I had the first g flex and that thing was nice. Good screen, snappy response, and very good battery life! if the assumed/probable specs are these, this phone is DOA. you would think you have kids that run these billion dollar companies. in the short term I see modular as such. 2 key pieces to modular. #1 the screen. #2 everything else. and each year when a new modular phone is released you have the option to save some money by reusing the screen and just buying #2 everything else. Enough with the puny 5.5 inchers. Bring on more of the 6 and 6.4 inchers. So R.I.P G5 - welcome G Flex 3, it will be better flagship and it still wants a better battery and should be waterproof and I am happy. If you're going to put a mediocre battery to the flex 3 then forget promoting it lg. G2 was your greatest then you sucked big time on g3 to g5's battery. Your marketing team sure is one hell of dumb team with battery implementations. Well what can you expect from a marketing team doing engineering work. I had the first g flex, even though i liked it ,it never go the attention that LG normally give's to their main stream g phones. They stopped updating the mobile after kitkat.